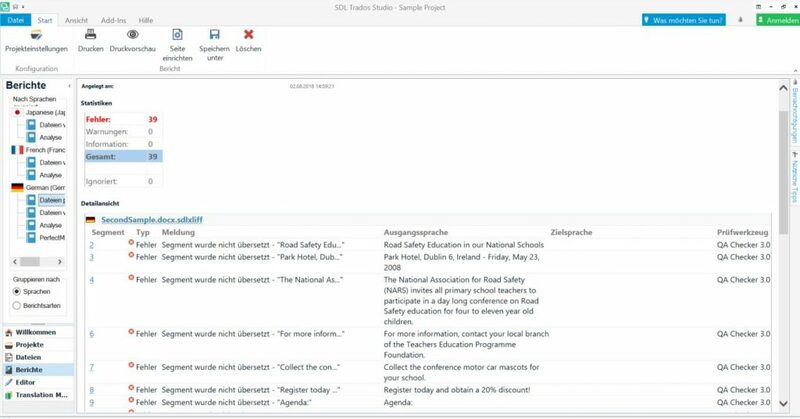 At ETUG 2018 we already got a glimpse of the new Trados Studio version, now it is here: Trados Studio 2019. This version is all about the user experience! You are curious? So are we! If in the past you felt you were a little lost in Studio, Trados Studio 2019 has the solution for you! A new tab gives you quick access to useful tips and videos. With the new “Tell me” functionality, you can find certain settings much faster and do not need to click through the menus. 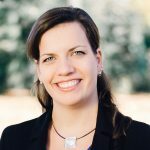 It takes too long to create a project in Studio? Then you will be pleased to hear that the project assistant in Trados Studio 2019 has been optimized. If you are working with project templates, you only need to upload the files and click on “Finish”. Without project templates, you can see exactly which settings are still missing and jump to these sections in a new ribbon at the top. New files can now be added without having to redefine the individual processing steps. And updates of existing files no longer need to go through the elaborate Perfect Match dialog. Trados Studio 2019 does the Perfect Match adjustment in the background. I guess you already know the QA Checker? 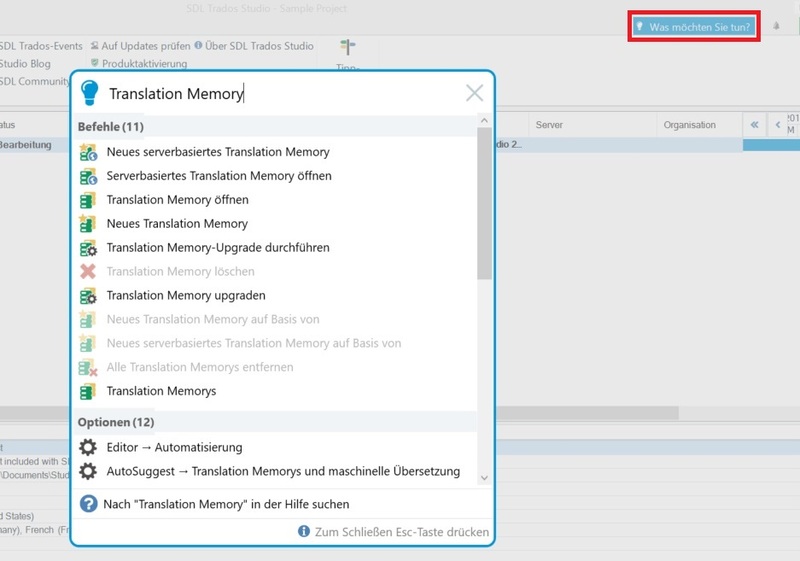 In Trados Studio 2019 you can also configure the QA Checker specifically for each target language. In addition, the QA report now also shows you the exact points of error, so that you can use this report e.g. to approach your translation service providers or carry out elaborate quality evaluations. Of course, many other things have been optimized. Trados Studio 2019 supports several new file formats such as Visio and also has a revised TM management. MultiTerm 2019 has also gone through a little transition: For example, you can now track the progress of terms. 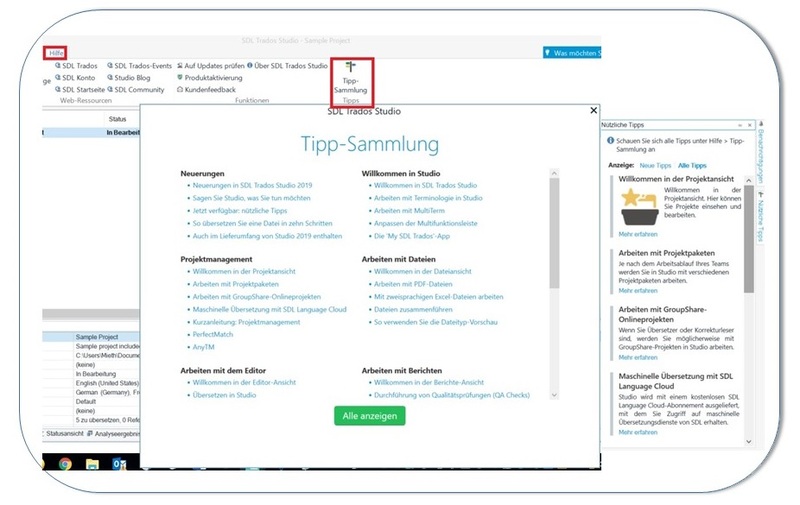 More information about Trados Studio 2019 and MultiTerm 2019 can be found on the SDL website.